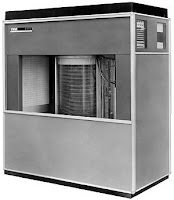 This image is a Harddisk IBM first launched in September 1956 with the title 305 RAMAC. 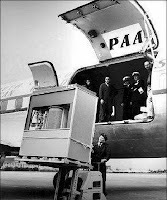 Hard disk storage capacity of 5 Mb and is the first by using the Computer hard disk drive. The weight disk is more than 2000 lbs. 5. The number of units that have been produced: more than 1000 units to 1961.